In the name of The Almighty GOD and blessings be on his Last Prophet Mohammed (PBUM) and his companions. 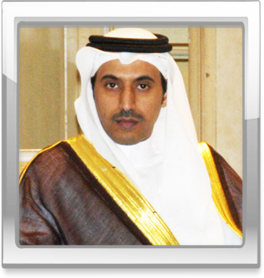 Hassan Misfer Alzahrani Holding Group was established 45 years ago. During this period the Group managed to draw up its own clear and constant principles and to develop its expansion plans, thru continuing development of its departments with persistence to provide the best products and services to its customers. The Group consists of several sectors: The commercial sector, the contracting sector, the food stuff sector and the industrial sector. These sectors are the basis of integrity in the group. The Group understands its responsibilities and its vital role towards the society and it is committed to achieve constant growth thru integrated administrative environment that applies always local and international standards of high quality to be provided to the individuals and to the society. In conclusion, I would like to extend my sincere gratitude to the board of directors headed by Mr. Hassan Misfer Alzahrani and I would like to appraise the exchanged cooperation between the staff and the management of the company which participated efficiently in putting the company on the right track which participated in achieving its remarkable success and progress. We are entering today a new stage that focuses on customer satisfaction and on the high quality of our services and products besides supporting the company personnel in innovation, excellence and development of their personal skills in order to maintain steady successes and achievements.